Hit the road with your laptop and other must-haves packed neatly and stylishly inside this hip backpack from Harley Davidson. 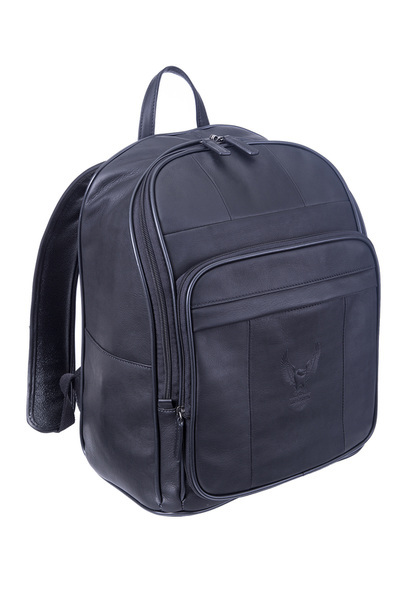 The Harley Davidson by Athalon Large Leather Backpack is crafted from deluxe top grain leather and features a medium sized shape with multiple compartments and an expandable front pocket for added packing capacity. 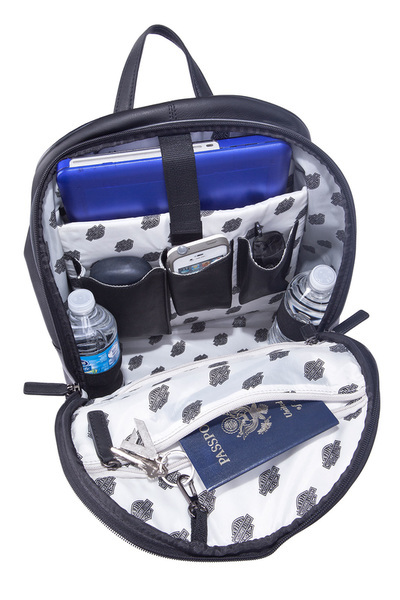 Detailed with a padded laptop pocket and a logo print fabric lining, this backpack offers plenty of storage for all of your day to day essentials and includes slip pockets to hold small items, such as your cell phone, and inside zipper pockets to hold laptop peripherals or valuable accessories. 13" x 10.5" x 2"